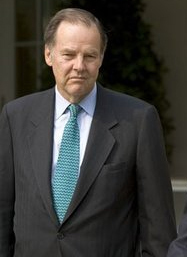 FORMER GOVERNOR THOMAS KEAN URGES SENATE TO INVALIDATE DEP's FLOOD HAZARD AREA RULES! Please maximize the Governor's reach by sharing the column on Facebook, Twitter and other social media!! You too can help get this done. First, Senate President Sweeney must post SCR66 in order for a vote at tomorrow's Senate Session, the last until August. Please click here to email Senate President Sweeney and urge him to post SCR66 on Thursday!